Winter is coming… Time for some family fun! Winter is just about here and in Vancouver that means a lot of rain and staying indoors. It also means the first snow fall, some great family activities, holiday cheer and even a good time at the movies with some of the best films of the year. No matter what winter means to you, we could all use a little help finding the best things to do out there, other than hibernation of course. Don’t these guys have the right idea? Let’s took a look at some of the best ways to pass the time this chilly time of year. Just because it’s cold and wet doesn’t mean we have to be stuck inside. First up, a Vancouver classic. Ice skating is something you can do in any part of the lower mainland but there’s something special about an outdoor skate and a cup of coco at Robson Square at the Vancouver Art Gallery. It’s a great place to take the family or to have a romantic night out. Skate rentals are available, or you can bring your own and the rink is open late, until 9pm weeknights and 11pm Friday-Saturday. Be warned though, the skate is more about the atmosphere than it is about speed. There isn’t room to go fast or fool around with tricks. 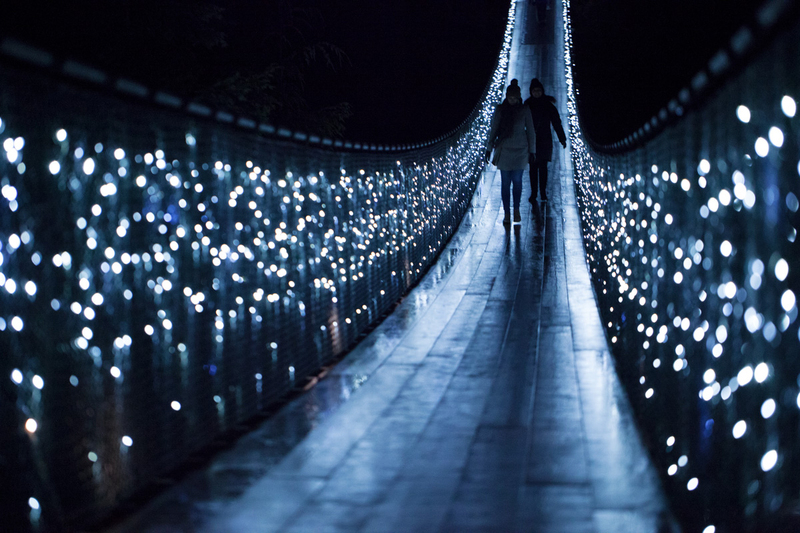 Whether or not you consider yourself festive, there’s still a lot of fun to be had visiting Capilano Suspension Bridge for the lit bridge and a nice stroll through a winter wonderland. The 250 year old Douglas Fir lit from top to bottom is one of the tallest on record and there are decorative displays along several paths in the park to explore. Visiting the North Shore has never been more fun for the whole family. Capilano Suspension Bridge has a free shuttle from downtown, so if you’re on transit or commuting via Skytrain check out the options on their site. Yes, we know you can see movies anytime you want, but one of the best times to go to the movies with the family is November and December. There’s a great mix of popular all ages films and dramatic films in the race for Oscar and other awards. Every year November and December offer the most unpredictable, most talked about movies, including some of the biggest box office draws. This November features Interstellar from Christopher Nolan, the director of the Dark Knight Trilogy and Inception. After that audiences get a long awaited sequel to Dumb and Dumber, aptly titled Dumb and Dumber To. It doesn’t end, because before the month is out we get Hunger Games: Mockingjay Part 1 and Horrible Bosses 2. There is also Foxcatcher, The theory of Everything and Rosewater, the directorial debut of Jon Stewart. Yes, that Jon Stewart. December features, many, many more films that you’ll be watching well into January to catch up to Oscar. Vancouver winter sports a great way to pass the time, and you can take the whole family snowshoeing at Mount Seymour, Cypress or Grouse Mountain. Snowshoeing does require a rental if you don’t own your own pair, but it’s affordable and there’s no admission price on the many trails in greater Vancouver. When it snows, you can find places to trek off the beaten path in parks in the valley and Maple Ridge too. It’s adaptable to the type of snow and conditions throughout the winter and spring, but it’s best with fresh fallen powder. Snowshoeing is great exercise, and a great way to get back in touch with nature. Remember to pack a lunch and wear proper waterproof gear. You won’t need to wear much of it, in Vancouver it seldom gets cold enough and the physicality of the trek will have you sweating up a storm if you wear more than a sweater. 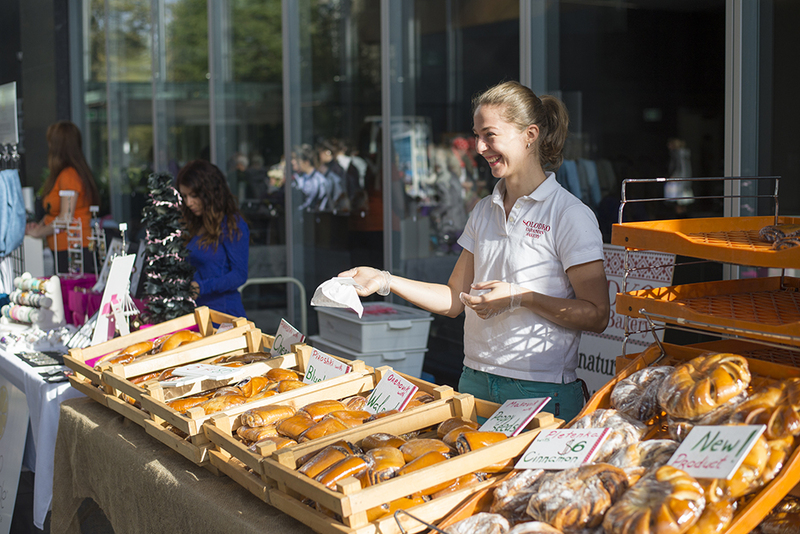 Starting tomorrow and almost in spite of winter, you can still shop for local produce and natural products at the Vancouver farmer’s market. The market organizers claim it’s the best way to spend a rainy day, but we recommend going when it’s clear skied for a better experience. The market is only open 4 hours on Saturdays so be sure to get there early. 10am-2pm only! Produce and arts and crafts are one thing, but you might be happy to know that the market also boasts food trucks and hot beverages like coco and coffee should you need to warm up. So if you like eating local and feeling great about doing something a bit different with the family, check out the Farmer’s Market and get inspired for the holidays! The Surrey market is less frequent, but also features live music and the convenience of being located next to major shopping should you need something that’s not available at the market. Check their website for dates and times. No matter what part of the Greater Vancouver area you reside in there are is a community centre near you with indoor sports, arts and crafts and much more to explore. Take a look at your local community or recreation centre for a list of activities. There are team sports for you and your friends, art classes and exercise options to be explored. At your recreation centre have fun with the family at the wave pool or take a dip in the hot tub. Go ice skating or book a gym for volleyball. No matter your interest or budget, there’s something for you. Just be sure to get online and check out your community centre’s activities before classes and teams fill up. We all know winter leads quickly to Christmas and that means shopping. But no matter your religion or enthusiasm, there’s no better time to shop than November. Black Friday has long been an American tradition, but Canadian retailers have begun offering competitive pricing and equally long lines on this side of the boarder. Still, if you can shop online or know what you’re looking for, there’s almost no better time of year to shop, even Boxing Week can’t compare to the deals reached last November. Generally speaking the sales continue for a week, but the stocks on some items will run out, so plan ahead, check the latest flyers on a site like redflagdeals.com and shop on Amazon.ca if at all possible. Good luck out there, you’ll need it! Vancouver isn’t exactly known for it’s winter activities. In a list of the top 20 winter events in Canada we didn’t even rank once. Not once, can you believe that!? But the truth is, we love winter, because here in BC we have to make the most of it and that means finding the fun behind the grim, cloudy, wet weather. We know how to curl up with a good book in front of a fire, or how to get into the holiday spirit. We know outdoors and we don’t get cold easily. Snow is a thrill to us when it’s an annoyance for most Canadians and we love winter movies because a lot of them are made here. You can find a lot of fun and comfort with the right activities. Hopefully these suggestions help you survive winter in Vancouver a little better.